The drive for portering chairs stems from the need for better patient mobility and transportation applications in the healthcare industry. World over, these specialized chairs have grown in significance in various care settings such as emergency, intensive care, and surgery in hospitals. Portering chairs are also gaining popularity in maternity wards and among bariatric patients. They are also increasingly being demanded in patients with a range of lower limbs mobility problems, notably stiffness at hips, oedema legs, knee extension problems. Various design improvements, especially with the inclusion additional fixtures, have expanded the use of portering chairs in therapeutic applications. Efforts of manufacturers to launch bespoke seating solutions with portering chairs to meet the diversity of current and emerging healthcare needs will keep reinforcing new avenues in the portering chair market in the next few years. The rise in patient population in various parts of the world suffering with sports injury-driven mobility problems is a key trend bolstering the demand for portering chairs in healthcare applications. Over the past few years, there has been a perceptible rise in patients of all ages with sports-related injuries in hospital emergency care units, especially in developed regions. There has been burgeoning demand for MRI portering chairs from patients suffering with chronic conditions such as respiratory diseases and rheumatoid arthritis. Among the various patient population subsets who prefer portering chairs as mobility solutions, special note should be given to obese patients. The rising prevalence of obesity in recent years, especially in developing economies, is a key trend likely to fuel new product development initiatives in the portering chair market. One of the approaches that may prove to guide potentially exciting product development initiatives is taking buyer’s feedback in shows and exhibitions. This helps manufacturers develop new range of portering chairs. The OT Show, 2018 is likely to see a wide range of portering chairs by manufacturers in the U.K. The show will serve as useful platform for several manufacturers, such as Repose Furniture and Pearce Brothers Mobility, to interact with occupational therapists. The feedback will influence their efforts in improving product functionality and features. Among the range of products to be unveiled, portering chairs for interchangeable pressure management features for individuals suffering with mobility problems are likely to receive attention by therapists. Furthermore, such interactions are likely to benefit patients with Huntington’s disease. The use of better materials for MRI portering chairs will also expand the potential of the portering chair market. On the regional front, a number of developing and developed regions have come to the forefront of contributing substantial chunks of revenue to the global portering chair market. In developing regions, notably Asia Pacific, the rapid strides in the market is supported by burgeoning demand for these chairs by elderly populations. A rapidly aging population in such regions is also bolstering the regional prospects. Furthermore, developed regions, particularly North America, are considered to be especially lucrative, driven by the rapidly rising demand for portering chairs in obese populations. The rapid uptake of MRI portering chairs in North America is also accounting for its increasing attractiveness. The portering chair market report takes a critical look at the various dynamics shaping the overall competitive landscape of the portering chair market. The study also offers insights into their major investment avenues and assesses the impact of key strategic moves of key players on the competitive dynamics in various regions. 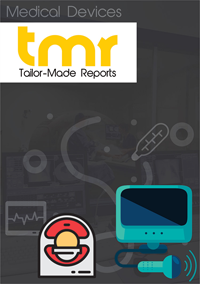 Some of the prominent players aiming to get a stronghold in the global portering chair market are Stryker Corporation, Roma Medical, Promotal, G & J Logistics Limited, Bristol Maid, Antano Group, and Accora Ltd.